When we think of cruising, we associate it with couples, families, and groups traveling together. Cruises are a way to get an “all-inclusive” vacation at a fraction of the price than a standard vacation package. 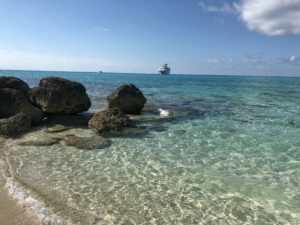 Recently, I had the opportunity to take a cruise compliments of the cruise line. Of course, it was in exchange for me producing content regarding my trip. I made the trip solo. 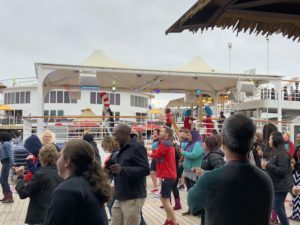 I cruised aboard the Carnival Ecstasy which is a 5-day sailing from Charleston, South Carolina. While I have traveled solo on most of my vacations in the last two years, this one was actually a bit lonely. I know what you are thinking, there are tons of people on the boat, how did you get lonely? 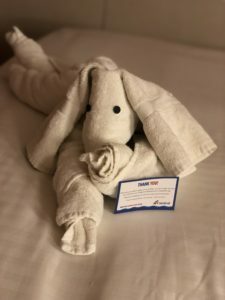 Yes, there are tons of people on a cruise ship, but as mentioned above many are traveling with a significant other, their family, or even with a large group for a special occasion. I was happy to have my own room but when it came to dining and getting off of the boat, it was a bit “different” than my other solo adventures. Typically you are seated with a group at dinner, however the cruise ship planned for my mother to come with me so I ended up with a more private table. The table was situated between two larger tables, but they were filled with two families who were into their own conversations. I often found myself scrolling social media while at dinner to feel connected in some way. A table of older gentlemen invited me to join them one night, but it would have been awkward for me. 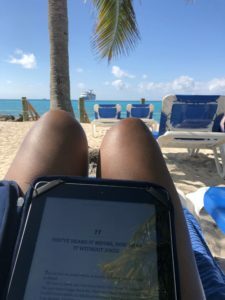 When it was time to get off of the boat, especially at the cruise line’s private island, I was stuck with the task of trying to enjoy myself while also keeping up with my bags. 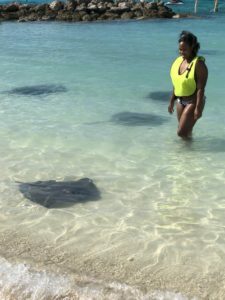 I would try to find chairs that were close to the water so that I could still keep an eye on my things if I wanted to get in the water for a few. Of course when it came to wanting pictures, I had no issue asking random people to take them for me. All in all, I will say it was worth the trip since it was free. However, I can’t say that I would be inclined to pay for a solo cruise in the future. If you are more social than I am then this is perfect for you. So I still say give it a try, despite my experience.